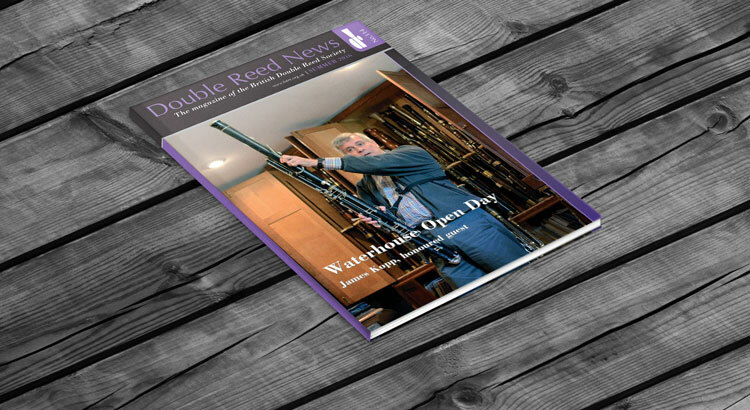 Double Reed News is the magazine of the British Double Reed Society. It is published three times a year and paper copy is distributed free of charge to all members. Information on advertising rates and copy dates is listed below. Check out the articles in the latest Summer issue. Other sizes by arrangement. Special positions add 10%. Up to 80g/m² £125.00. Over 80g/m² by arrangement. Prepaid only – first 12 words £5.00 (minimum charge). Extra words 40p per word. Copy requirements: camera-ready artwork, bromide or film. Layout and text is acceptable but the publishers reserve the right to charge for origination or typesetting. Advertisers will be notified if this is necessary. Screen 120. Copy deadline: 15th of the months of August (Autumn issue), December (Spring issue), April (Summer issue). The publishers reserve the right to adjust distribution dates to allow notice of meetings and courses. The Society reserves the right to refuse or withdraw any advertisement at its discretion without stating a reason, nor does it accept responsibility for omissions, clerical errors, or the statements made by advertisers, although every effort is made to check the bona fides of advertisers and avoid mistakes.